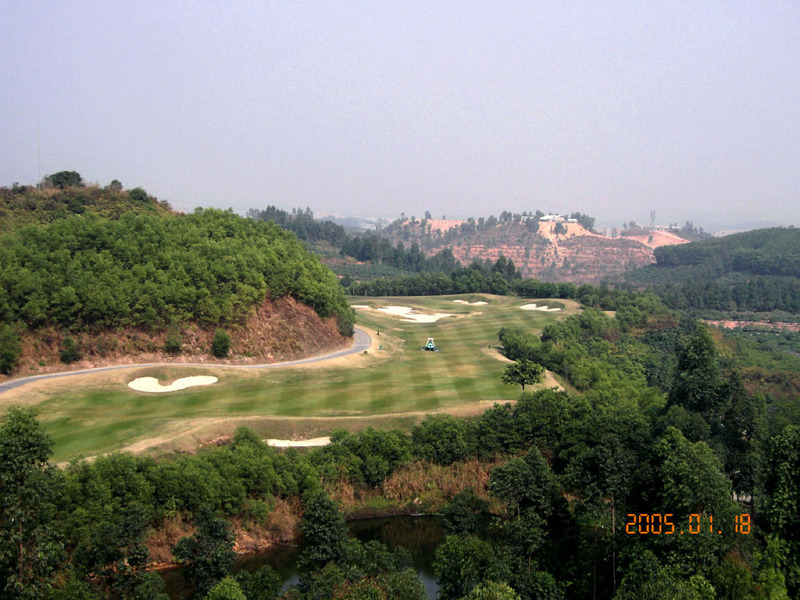 The course is built on top of and around the several hills. 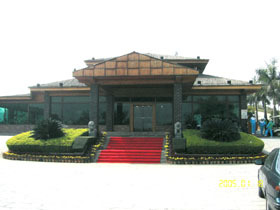 It was formerly called Sanjiu Health Base GC. 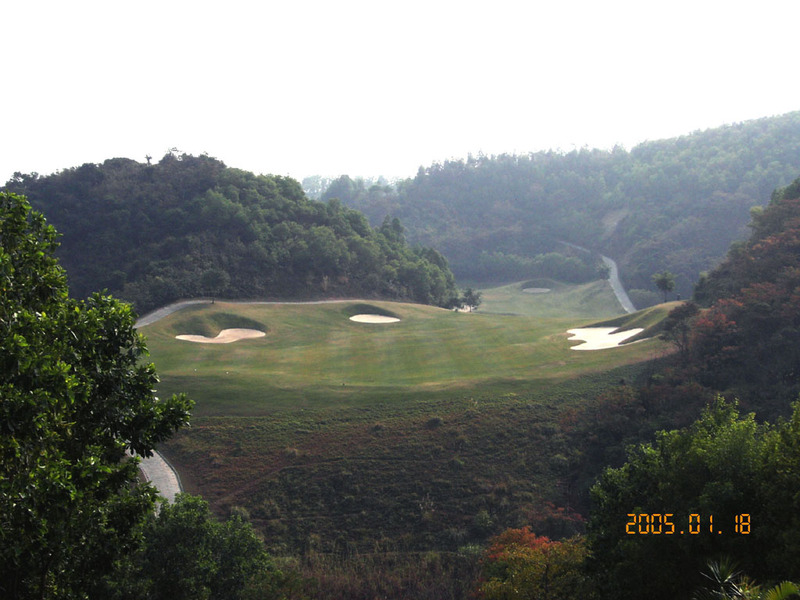 Each hole varies dramatically with downhill, uphill, and right/left doglegs. 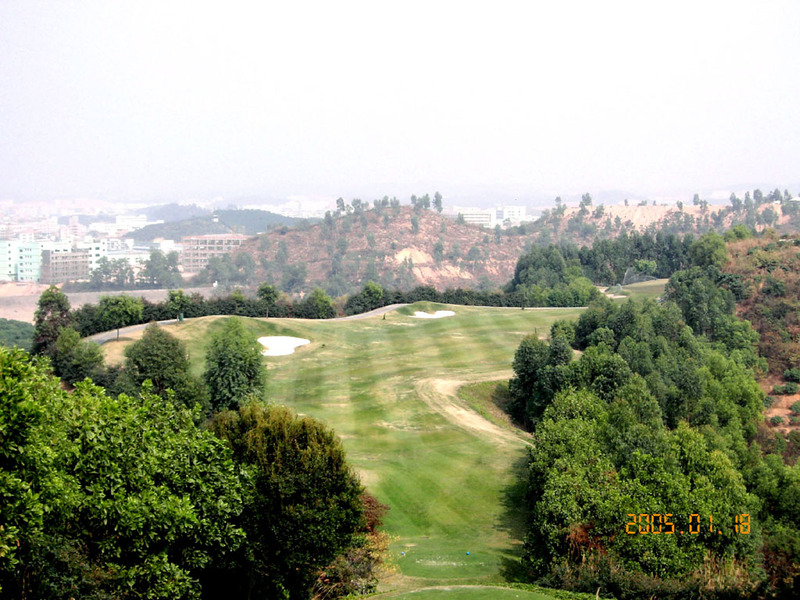 It is really amazing how the course is strategically built on such a complex terrain. 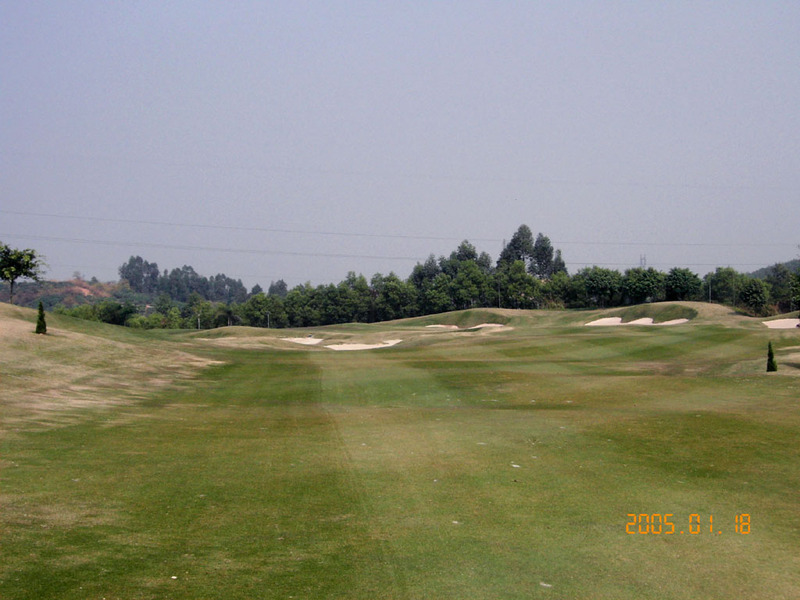 The fairways are tight, rolling and guarded by trees on both sides or by water hazard on either side. It is very demanding, as you need to hit to one point from another rather than a zone. The number of bunkers is not so many but they are superbly placed on the landing areas of each shot. This course best suits to advanced players who look for a challenge. 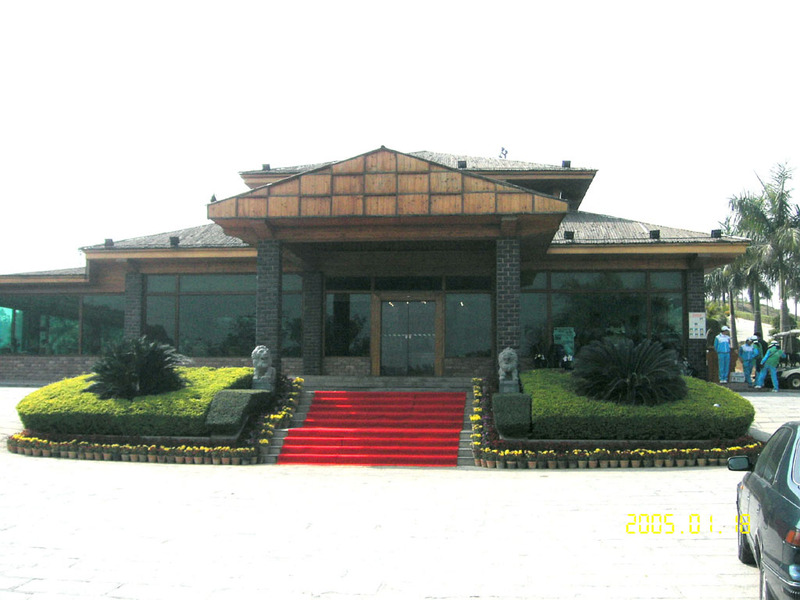 Lastly, you can enjoy great natural elevation changes while at the same time are excited by the stunning views. The fairway drops sharply from the tee, a long hitter should not use driver because a 250-270 downhill drive will deliver the tee shot into the pond. The second shot is over the pond to the elevated green. You should hit long as you don’t want to be short and get trapped in the 7 meter (23 ft.) deep bunker. An challenging hole over water. The two tier green is shaped like a semi island with water in front and on the right, so it demands an accurate shot. 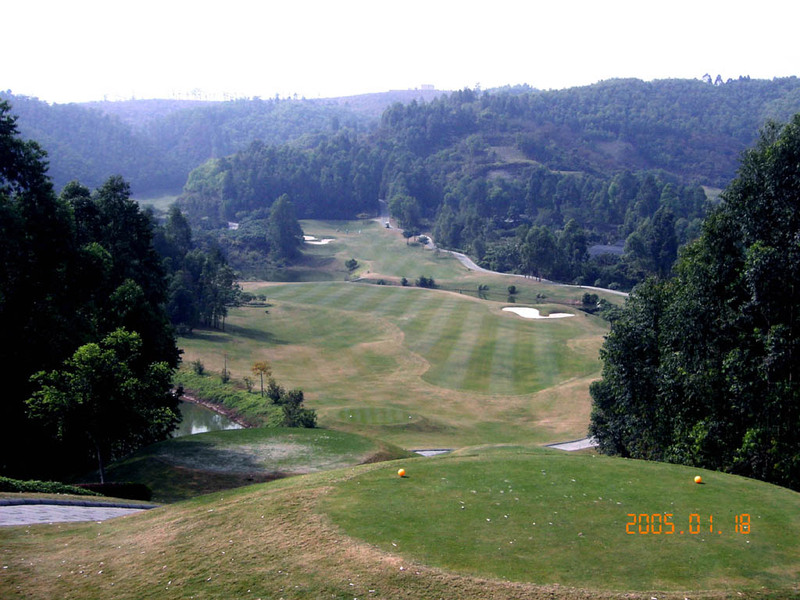 A beautiful downhill par 3. There is a water hazard in front of the very wide green. A dynamic hole that doglegs slightly to the right. 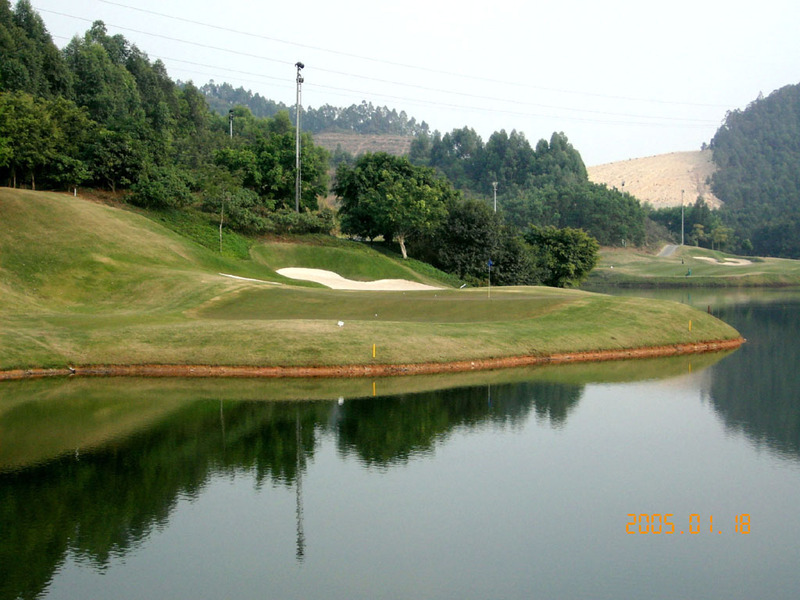 A precise drive over a lake is required because the fairway is guarded by water on the right and bunkers on the left. The second is sharp uphill. There is a big mound in the center of the wide green, which makes the slope steep and provides the green with two tiers left & right. If your ball is in a different tier from the pin, it’s a definite 3 putt. Accurate 2nd shot is a must. I think that the slope of the mound should be more gentle, to make this a much better hole. 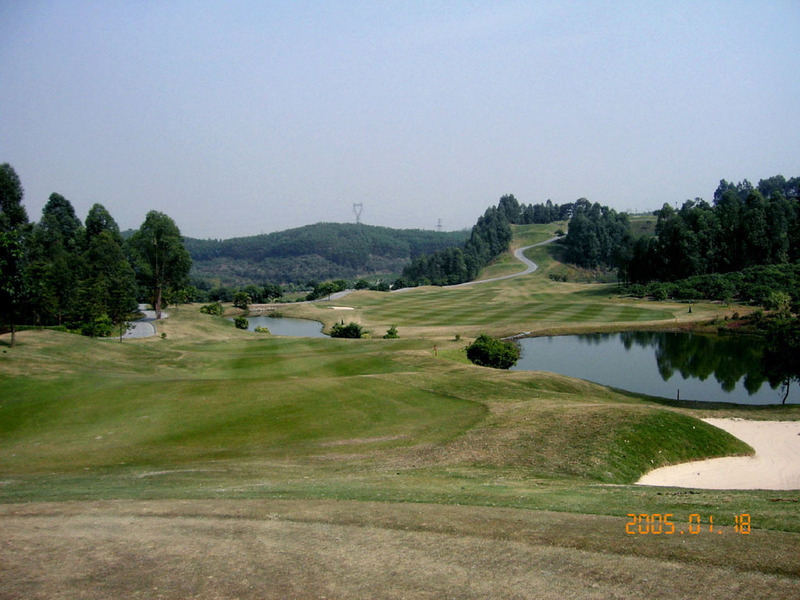 A dogleg to the left with a downhill drive from the top of a hill. The second shot is over water. The view from the tee is splendid. It is truly a beautiful hole and is not as demanding as other holes. Unwind a little while playing this whole. 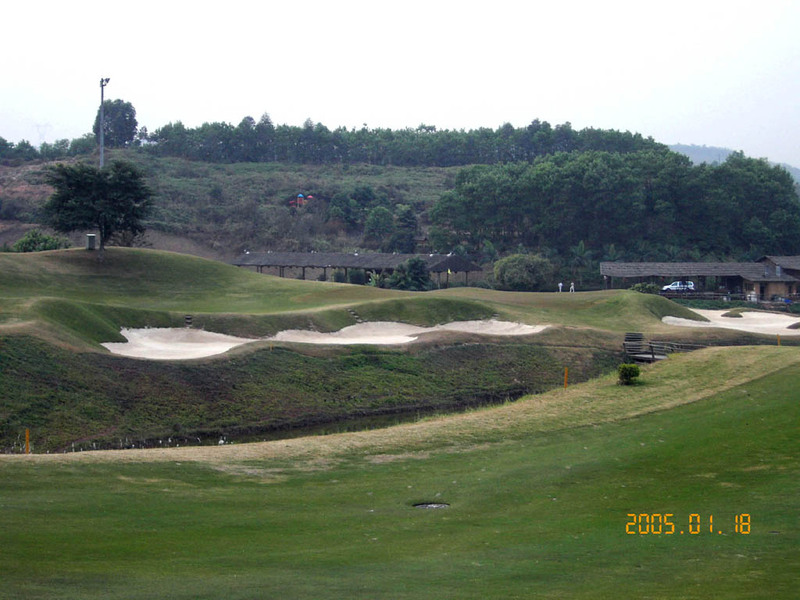 The tee shot is steep downhill and the second shot is a gentle uphill over a creek. It has an excellent layout. The landing area becomes narrower as one comes closer to the hole. A carry of 220 yard downhill drive is needed to clear the ravine. 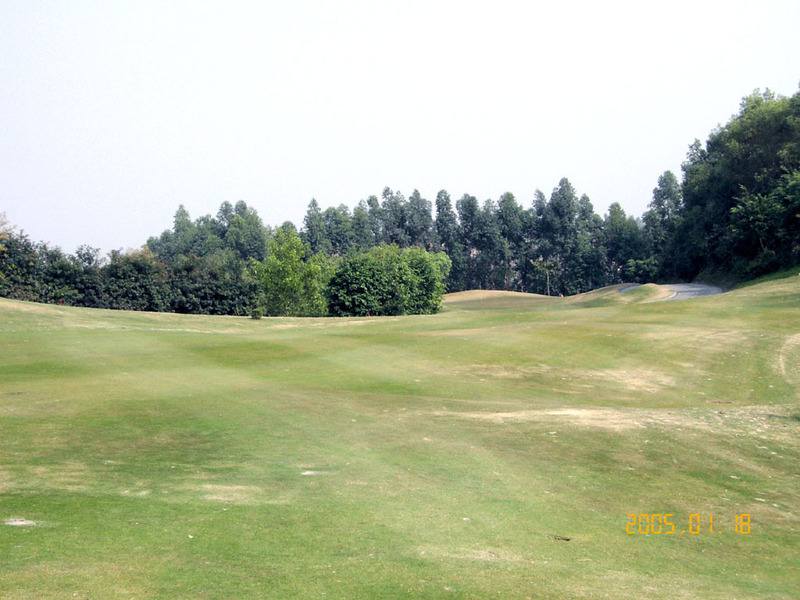 This short par 5 is reachable in 2, but bunkers around the green are well positioned. 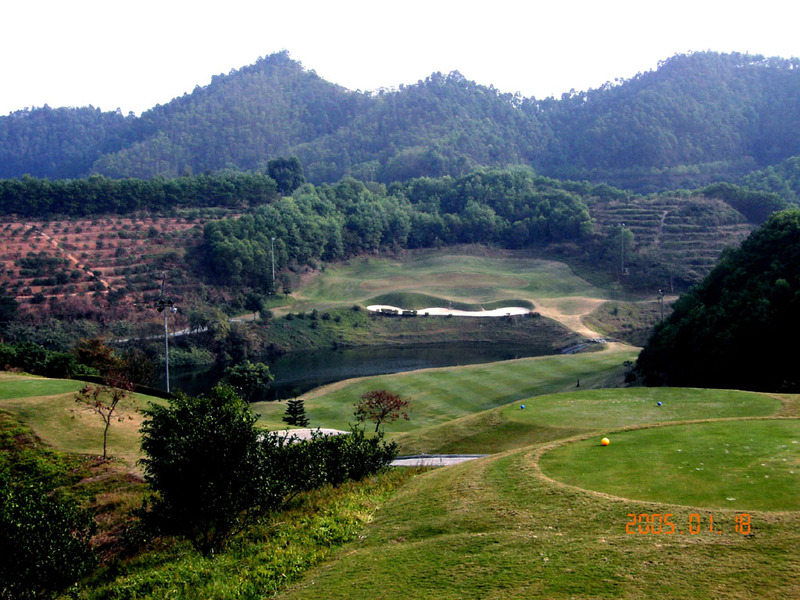 The green drops significantly around 70 meters (200 ft.) from the tee. 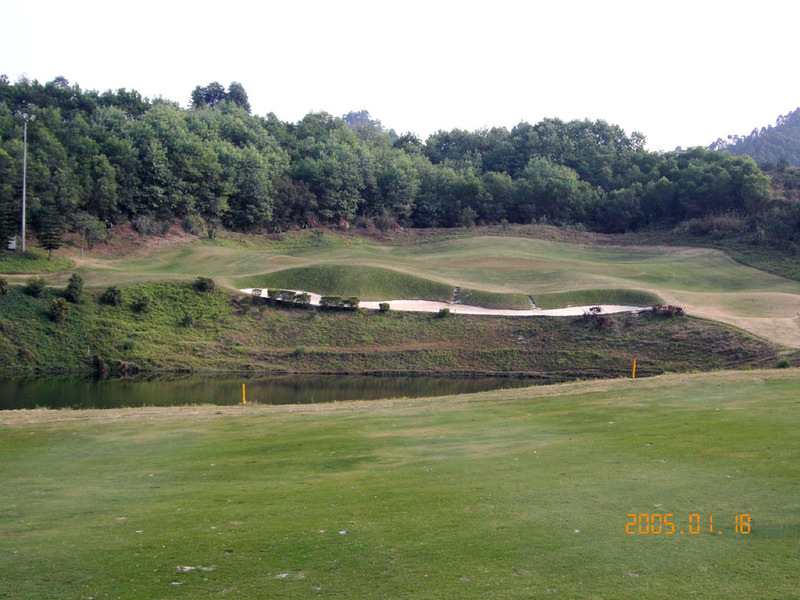 You need to carry a pond and bunkers, so never leave it short on this hole. The green slopes from the back to the front, the tip shot from behind the green is difficult. The right club selection is crucial on this hole because you need to hit directly to the green. A dogleg to the right but the green is swung to the left at end. Because the relatively tight fairway is protected by the ravines on both sides, this downhill tee shot is very intimidating. The second shot is also difficult as there are dangers on the both sides of the small green. A par 5 left dogleg that is reachable in 2. The downhill shot is best suited for the right to left shot. 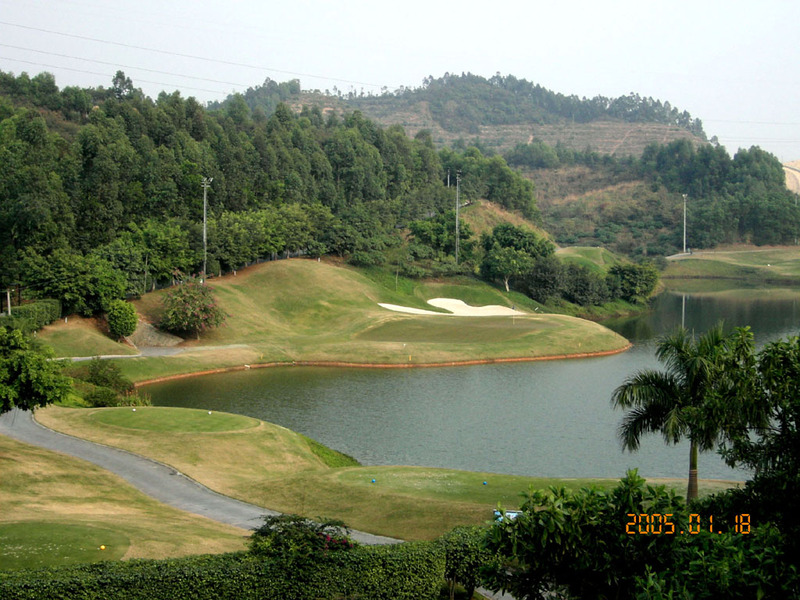 The shape of the green and its neighboring view is stunning. 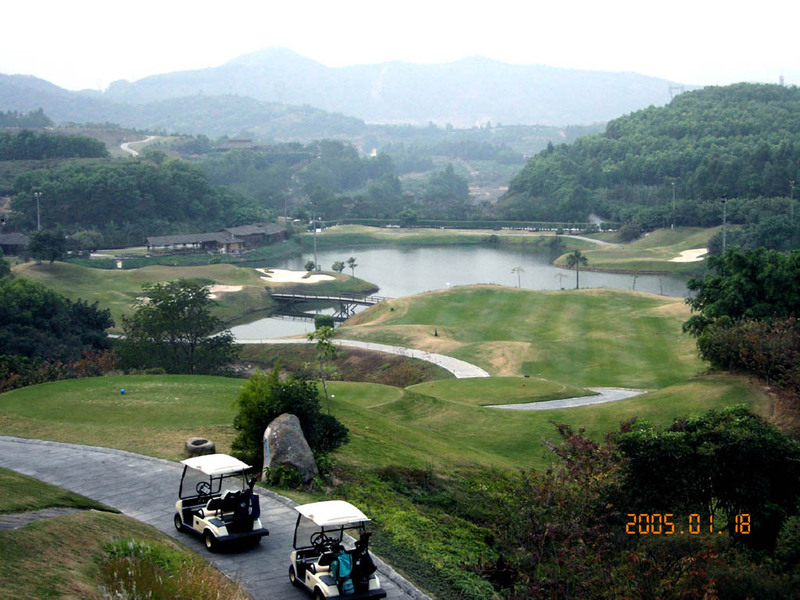 It takes 15-20 minutes from Mission Hills GC by taxi. Night-time golf is available. I was able to play from the black tees, the longest tees by showing a single handicap certificate. I couldn't find out who is the designer (maybe not well known) and which year the course opened (maybe in the late 1990). 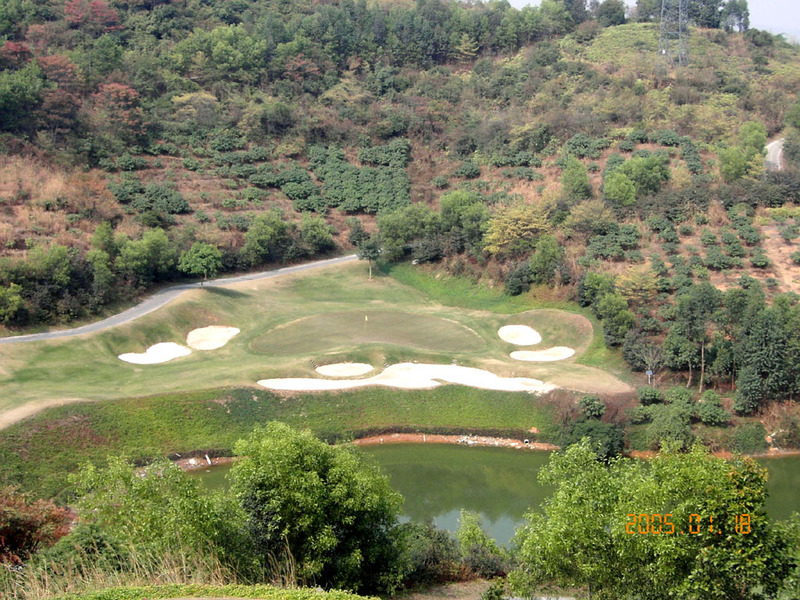 The course is great for those who likes the target golf while others probably don't like it as it is very tough with the terrain of a lot of changes of elevation. I personally like this course.